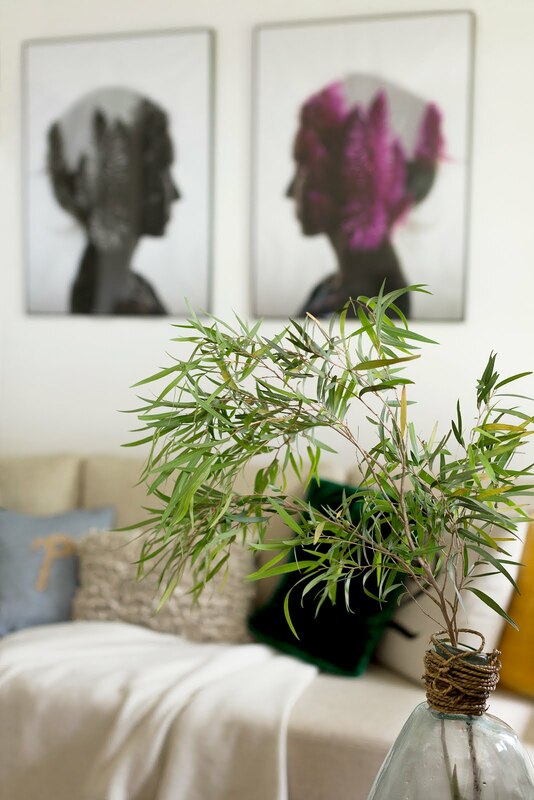 La Maison Jolie: Decorating With Prints in Our Living Room! 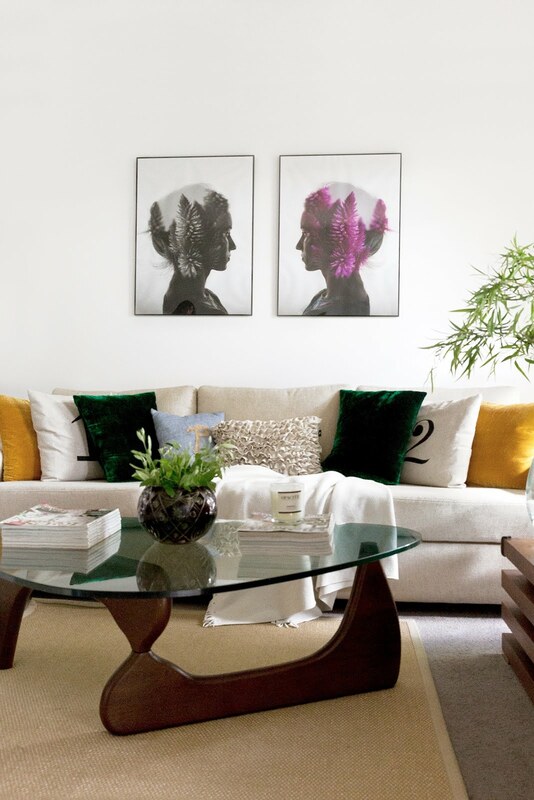 Decorating With Prints in Our Living Room! Art is emotional, personal and meaningful. Prints, photos, posters, paintings, mixed media, sculptures...it's no secret that I love art. Over the years I have curated quite a collection and every wall in our home showcases some form of artwork on it. A few weeks ago, I was invited by UK company Pixers to choose a couple of prints from their vast online collection. Needless to say, I was thrilled! After quite bit of hemming and hawing over multiple prints, I chose the 'creative double exposure with portrait of young girl and flowers' print in black and white and also in colour. I chose the reflection option to rotate the coloured print to create an interesting design statement. The prints have a lovely Scandinavian feel to it. 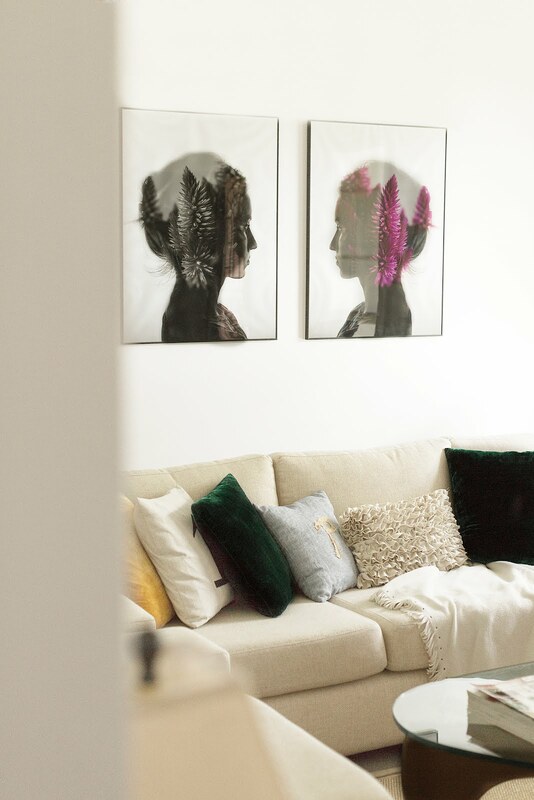 Since I'm in the process of slowly transforming our home to add fresh design elements and reflect a more neutral and natural colour palette, these prints add just the right accent and interest. The premium quality prints are available in various sizes and convenient framing options. I chose to frame both prints in sleek light weight black aluminium frames and I couldn't be happier how they turned out. How pretty are these beauties! 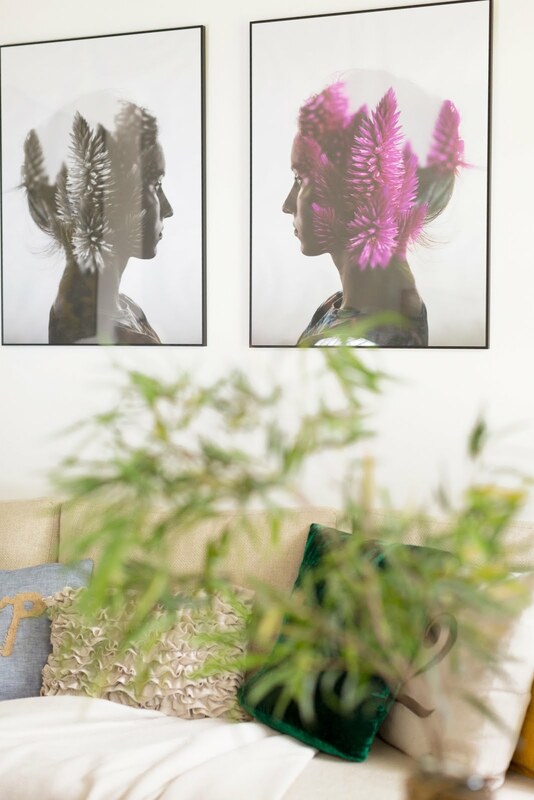 Prints and posters are an easy way to decorate your home. 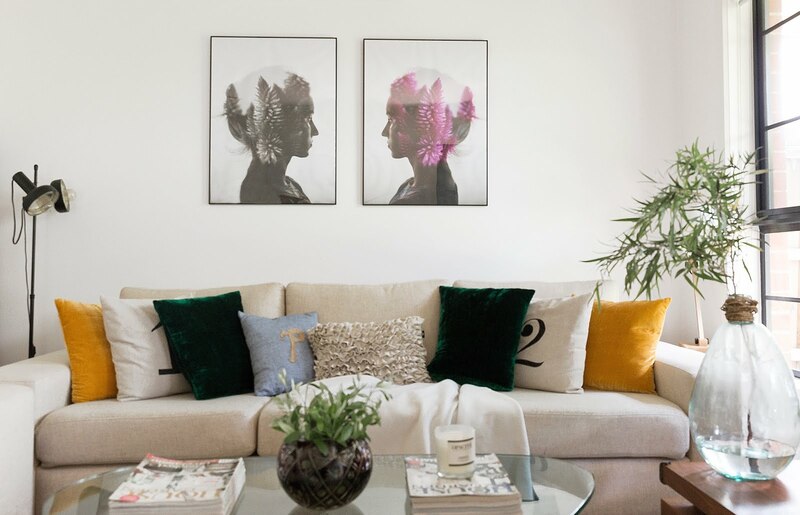 Pick one that speaks to you and group more art around it to create an interesting gallery wall or just showcase a couple of standout prints to create a feature in the room. If you are looking to start off or add to your burgeoning art collection, check Pixers out and I promise, you will be spoilt for choice! Note that you can get 30% off your first order by signing up to their newsletter here - how great is that! Till next time...pixersize your home! This sponsored post was created in collaboration with Pixers. As always, words, thoughts and opinions are all mine and genuine and I only ever work with brands that I love and I think you will too. 5 Tips For Planning Your Next Big Move! Aesthetics meets Functionality at Nyde! How To Make Your Home Eco-friendly!